iSure is a highly configurable insurance demonstrator, designed to represent how automated decisioning can be achieved for different channels and lines of business. The high level collateral below provides an overview of a potential solution and reflects the configurability that can be achieved by combining a best practice approach with an intelligent and dynamic presentation layer. The iSure demonstrator is brought together by Intellect Holdings and Idiom who together combine best of breed business domain knowledge and technology. It utilises state of the art technology to apply a series of auto decisioning techniques in a delivery platform consisting of intelligent webforms and business rules. 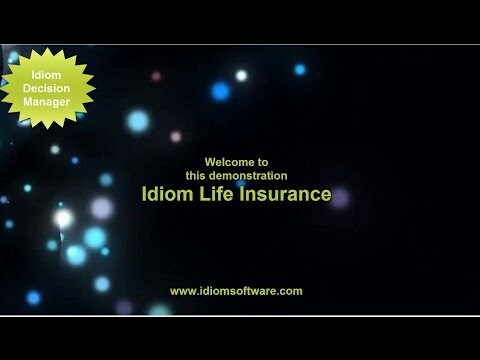 iSure takes a series of common insurance processes and joins them in a highly configurable way underpinned by the Idiom Business Rules engine.